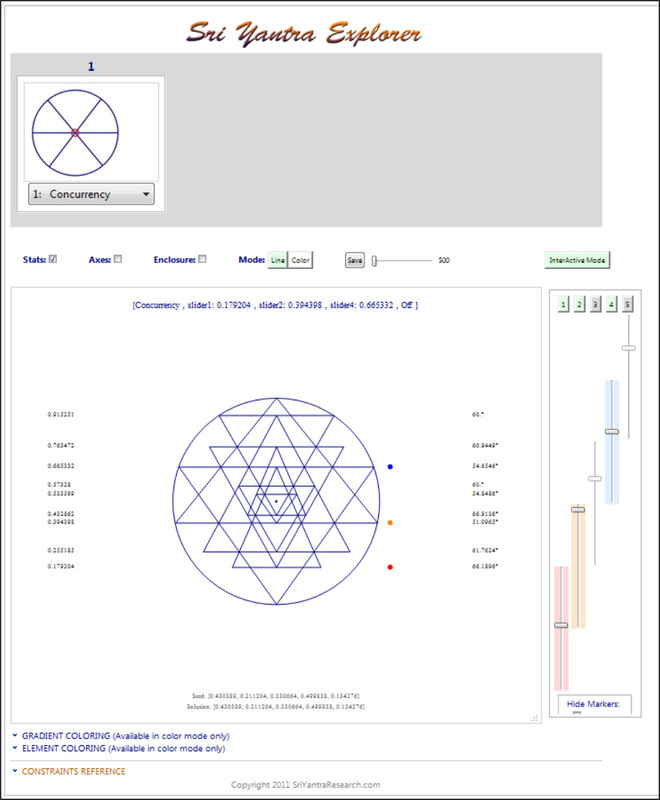 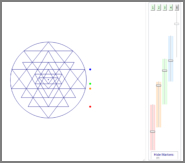 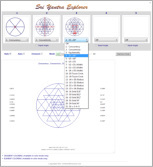 Create your Own Custom Sri Yantras The Sri Yantra Explorer software allows you to explore the fascinating geometry of the Sri Yantra. 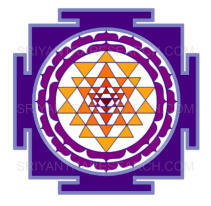 One of the oldest and most revered sacred gometry of India. With this program you will be able to Shape, Color and Save your own custom Sri Yantra configurations. 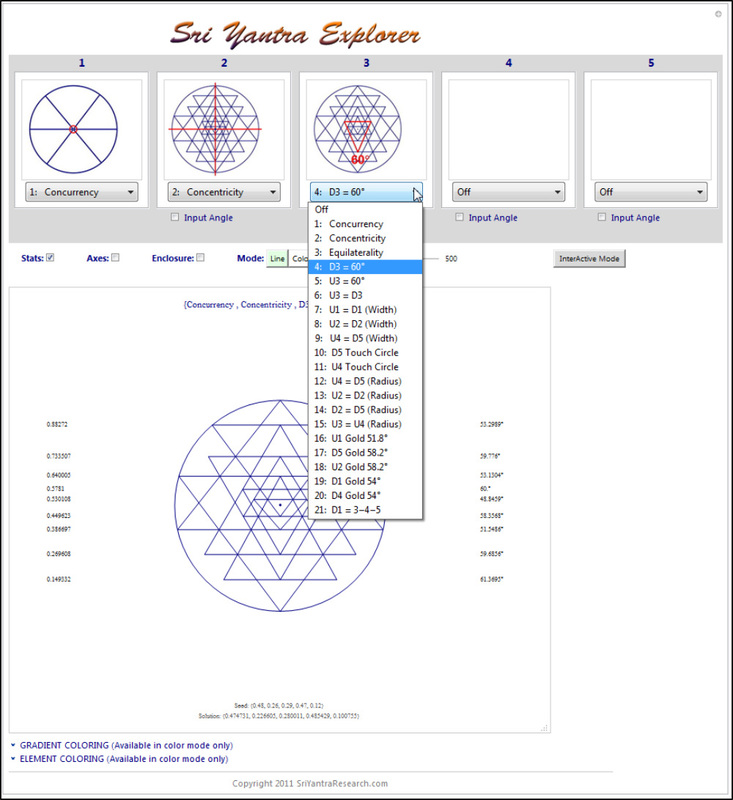 The Sri Yantra Explorer can generate an infinite amount of different Sri Yantra configurations and help you understand it’s deepest secrets. 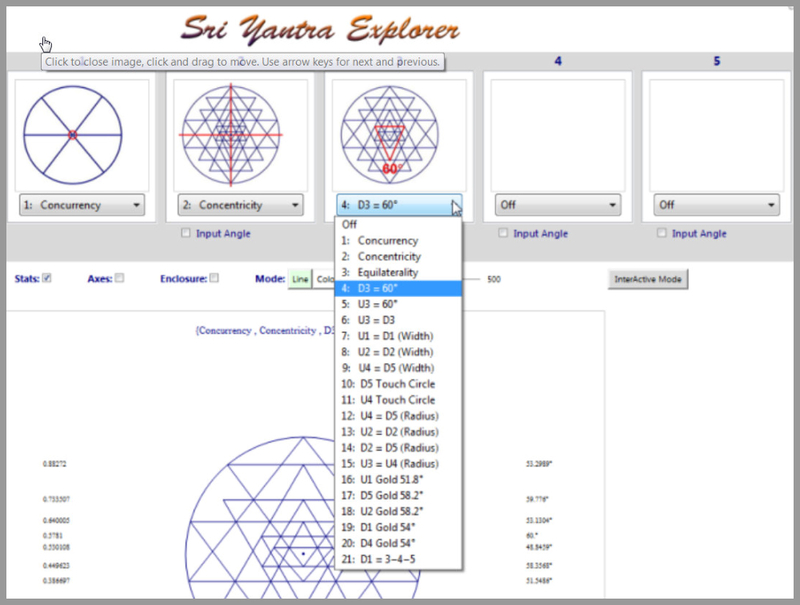 The element coloring feature allows you to easily color any part of the Sir Yantra using the color picker bar. You first select the item you want to color in the list and then you click on the color picker to select the color. Easy breasy! 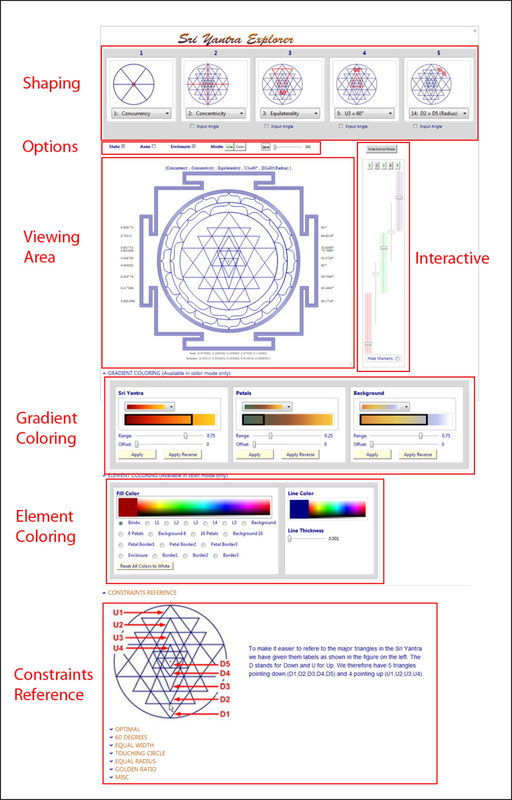 Go to the next level and use gradient colors. 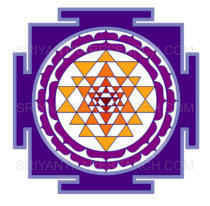 This will create a gradual change from one color to the other for a more natural effect. 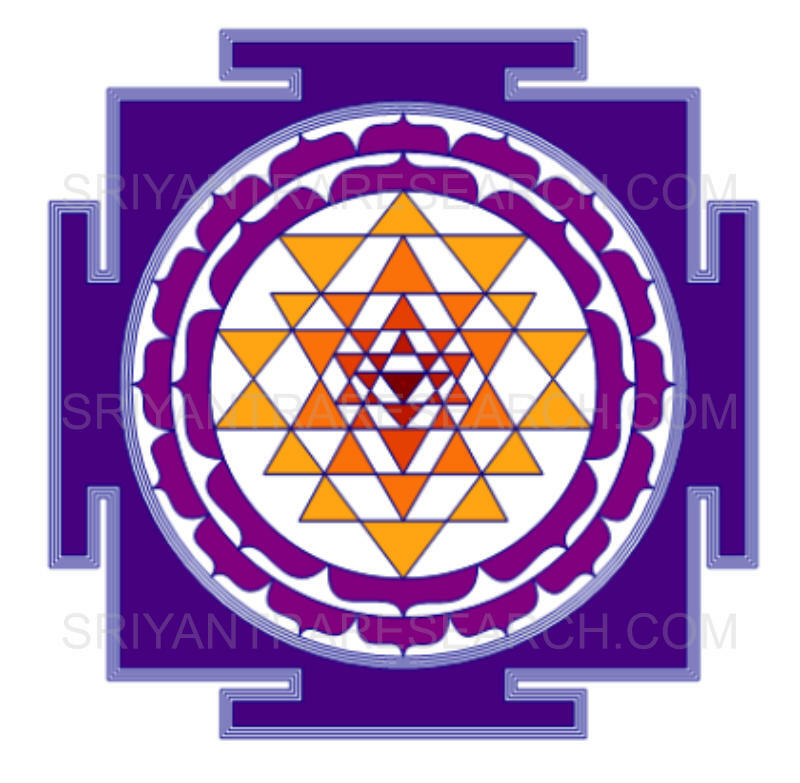 The example below shows how the gradient coloring used on the inner triangles of the Sri Yantra. 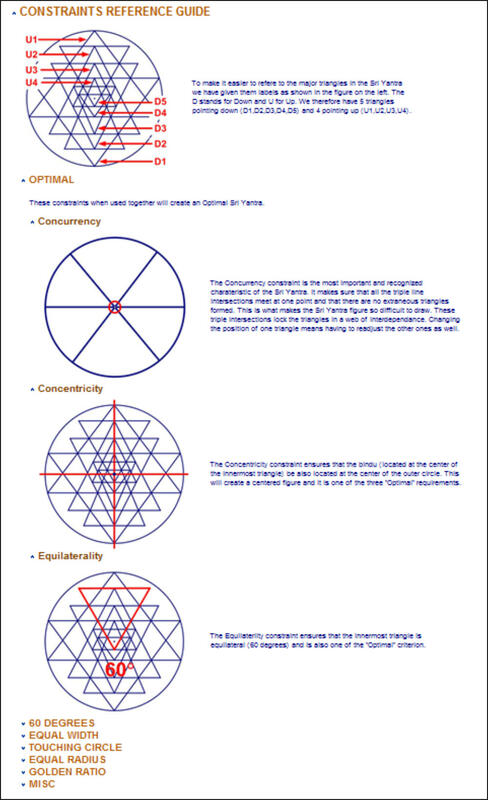 The pre-defined constraints make it easy to build a Sri Yantra. Use on or as many as five of the 21 pre-defined constraints. 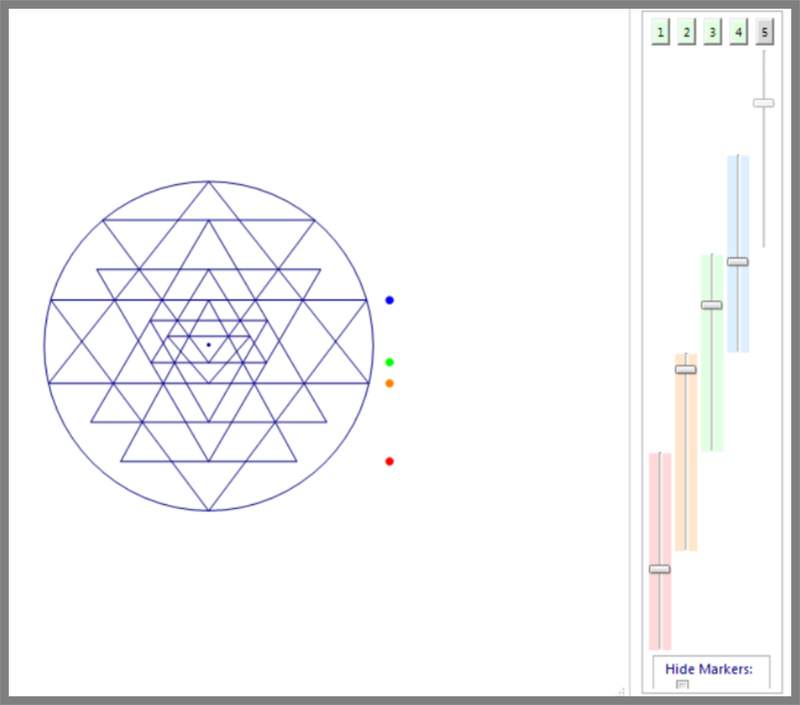 For the control freak we offer the possibility to shape any of the nine primary triangles with custom angles. 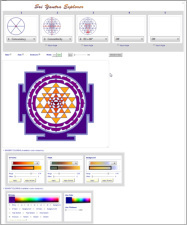 In the interactive mode you can shape the Sri Yantra in real time. 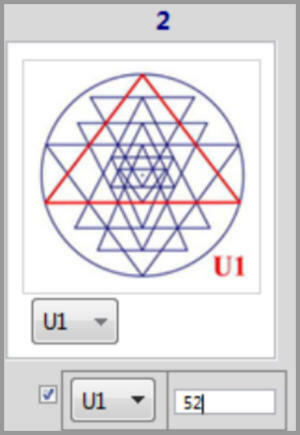 Move any of the five key lines and the program redraws a correct configuration immediately.